There’s a fair chance you’ve been working on your yard or in your garden and either thought about spreading some mulch around or have already done so. 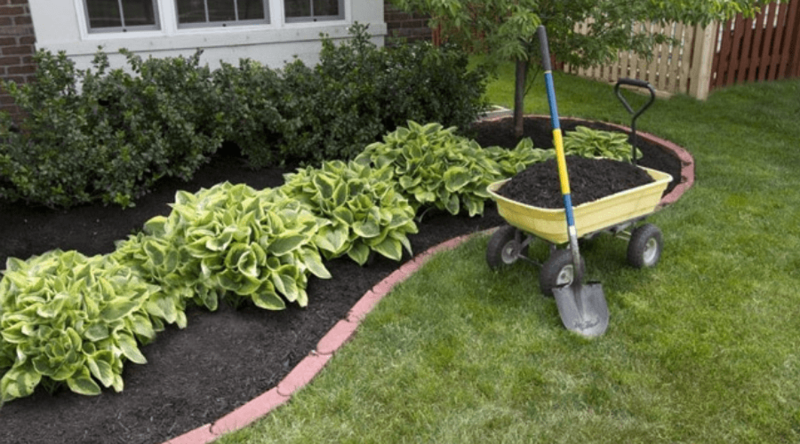 Have you ever, though, stopped to ask yourself “What is mulch and why do we use it?” I know, on numerous occasions, I’ve spread the stuff around without really knowing its purpose, just liking the look of it. 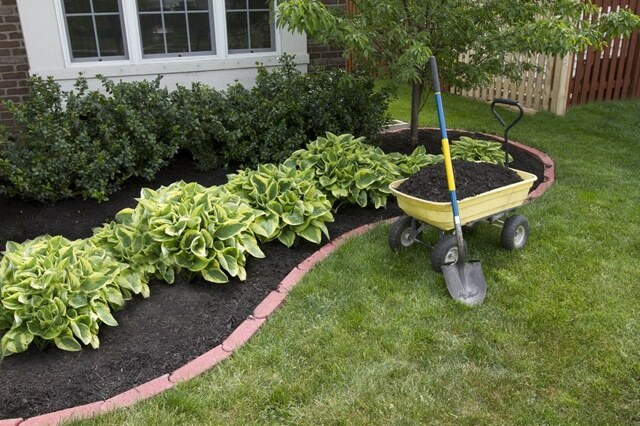 In truth, mulch is very important for the health of your landscaping. It keeps moisture in, it controls weeds and prevents soil erosion, and it keeps your ground generally healthy, among other things. Mulch is pretty incredible stuff, and any garden or yard which isn’t making use of it is definitely missing out. WHAT IS USED TO DYE MULCH? All the different types of mulch don’t just exist for aesthetic reasons. Some hold in moisture better while others keep the soil healthy. The kind of mulch you need can vary greatly depending on what your goal is with the area in which you are using it. 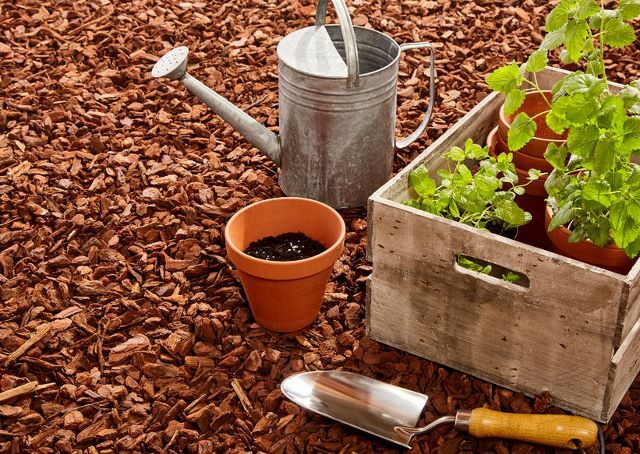 In order to figure that out, you’ll need to learn what each type of mulch is in the first place. Mulch is a general term for pretty much any type of material you would use above soil in landscaping. Garden mulch, specifically, would be the kind you use in your garden. This can include pretty much any type of mulch, but some definitely work better than others. Some also look better than others. Looking to do your part by helping to reduce, reuse and recycle? If so, rubber mulch could be a good thing or you. While it can work in a plant-growing situation, it perhaps serves its best purpose as an outdoor flooring material. Rubber mulch is made up of rubber from tires which have either been chopped up into nuggets or rubber which was shaved from semi-truck tires before they are retreaded, which are called buffings. Though they aren’t necessarily organic, they do serve some organic purposes. For instance, rubber mulch has the unique ability to insulate soil from heat when compared to wood mulches. Additionally, since rubber is a non-porous material, no moisture is lost as it makes its way through the mulch layer into the soil below. 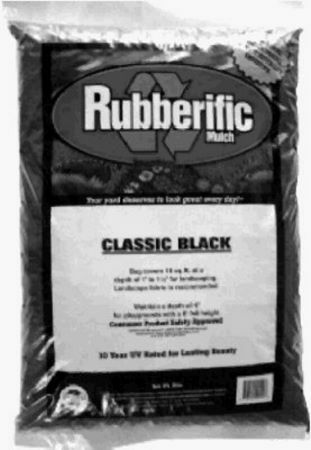 As for non-gardening uses, rubber mulch has earned great respect as a material suitable for playgrounds. Instead of using a wood mulch on the floor of the playground, rubber mulch is often used, which can make the area safer for playing children. Thanks to the elasticity associated with rubber, using this material to break falls is better than other types of outdoor flooring. Bark mulch, as the name implies, comes from the bark of trees. More specifically, it’s bark which has been harvested from various conifers, such as pines and firs. Bark mulch is definitely aesthetically pleasing. The large chips of bark catch the eye quite well, and they have some good growing benefits, as well. For instance, it doesn’t allow moisture to evaporate very well, helping to conserve the stuff. Also, as it ages, it can provide nutrients back into the soil. There are definitely some cons working against bark mulch, however. It is quite light, so it can be moved around by wind or rain. Additionally, it can be somewhat fragile and prone to splintering. 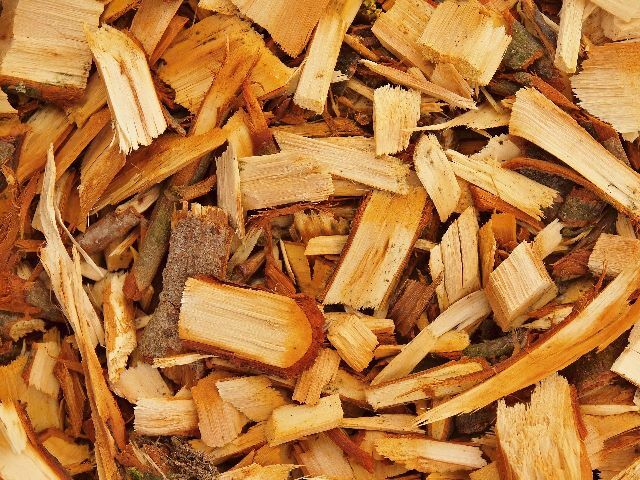 You can get bark mulch in a shredded format, if the chips aren’t your style, which could better suit your purposes and holds its own benefits. It can retain moisture even better than the chip form, and it’s smaller so it can decompose faster in order to help out the soil. Hardwood mulch is potentially very inexpensive. Since it’s basically made up of refuse from tree trimming jobs and old wooden stuff, finding the material which has been shredded into mulch can be as simple as making a few calls and taking it away for free. Of course, your mileage on this may vary. In gardens and other landscaping situations, hardwood chips can be used around plants which don’t require a whole lot of acid, as the stuff breaks down into an alkaline form after time. Plants which need more acid could require some special acid-increasing fertilizer in that case. I suppose that’s a bit of a positive and a negative, depending on the plants you’re using. Another downside to using hardwood mulch is how it changes over the years. It is prone to turn gray after some time, at which point it will need to be raked up and turned. This also means it won’t be so good after just a couple years. On top of that, hardwood chips make for a great buffet for termites, so having hardwood mulch in a garden which borders your house isn’t advisable at all. Hemlock trees get a bad rap. There is a bit of a case of mistaken identity involved with them, as many people believe using their bark or wood as much can be dangerous, since hemlock is poisonous. Hemlock trees, however, are not what’s poisonous. The poisonous stuff is a completely different animal. Well, not an animal, but a wild bush with big leaves and a purple stem. It’s really too bad this stigma exists, because hemlock mulch is actually fantastic. It’s a hardwood mulch, so it carries all of the same benefits and issues as other hardwoods, but it has some special qualities, as well. It seems the tree contains a large number of tannins, and these tannins keep bugs and such from digging into your soil and munching on your plants. It’s also quite nice to look at. 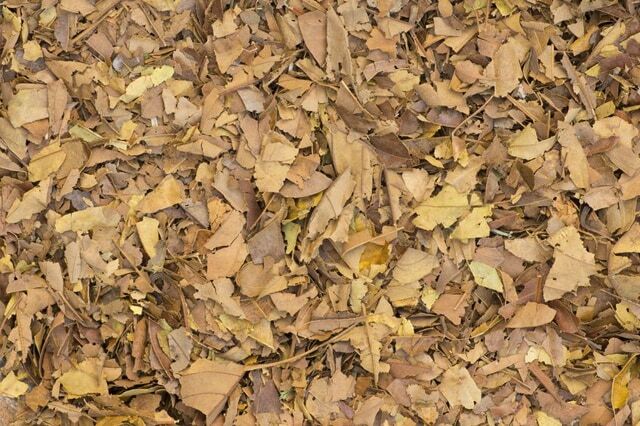 It is possible, and actually not a bad idea, to use leaves which have fallen from your trees as mulch. This costs you absolutely no money, doesn’t take a whole lot of work, and works pretty well. However, there are a couple caveatsto keep in mind when using leaves as mulch. Once nature has done its thing and made all your leaves fall from your trees when autumn hits, get your rake and gather them up. Before using them as mulch, you’ll need to shred the leaves first. This can be done using a shredder, a mulching lawn mower or a leaf blower which has a vacuum function. Using a layer of leaves which is too thick can have some unintended negative effects on your soil, such as keeping air and water from getting down into it. At the same time, they can also hold too much moisture in, allowing for the potential of rot and fungus issues. You can first apply a thin layer of complete leaves, but shredding the rest before putting them onto your soil will allow for better passage of air and water, making sure your soil stays as healthy as it needs to in order to allow your plants to thrive. Any leaves you don’t use can be used as compost for gardening projects down the line. Were you aware glass can be used as a mulch? 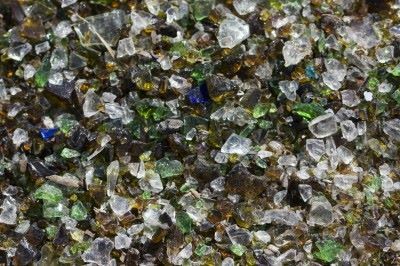 Almost exclusively decorative, glass mulch is made up of recycled glass which has been tumbled to remove any sharp edges. It can be placed pretty much anywhere one might put rocks or pebbles in a landscape, but it has the unique effect of being very pretty. It usually is made up of glass of all kinds of colors, creating a look which is truly incomparable. Unfortunately, it’s a little on the expensive side. Way more expensive than any of the organic mulches, for certain. Using glass mulch for plants requires plants which can handle rocky soil, and there should be some landscape cloth or plastic between the glass and the soil to keep the mulch from sinking in too deep over time. Lava rock mulch, sometimes called pumice mulch, is pretty handy, and functions similarly to rubber mulch in that it allows for proper water flow without absorbing any of it. Also like rubber, the lava stone helps the ground stay warm, though not in the same way. Whereas rubber serves as an insulator for the heat, lava rock absorbs the heat throughout the day, then helps the plants by keeping things warm through the night. It also is good at keeping moisture in and, with the help of a barrier like fabric or plastic beneath it, it can keep weeds from getting into your garden. 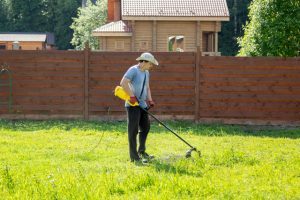 On the opposite end of the spectrum, the stuff is pretty lightweight, so it may not stay still, and it’s tough enough to do some damage to your lawn mower, should some of it end up in the yard where it isn’t wanted. Also, you need to be careful when using lava rock to check it from time to time. Material can build up between the rocks themselves which could inhibit air and water from reaching the soil properly. There’s a fair chance you’ve seen some red mulch in your lifetime. It’s, if you couldn’t tell, the super red stuff you sometimes see in someone’s yard, or in the landscaping of a business. Sure, you can get red mulch naturally, depending on the origin of the stuff. Many bark mulch types can look reddish thanks to having come from red-barked trees, but often, the red mulch you’re seeing has been dyed. In a great many cases, red mulch has a similar origin to hardwood mulch, often coming from the leftover materials of construction jobs and such. 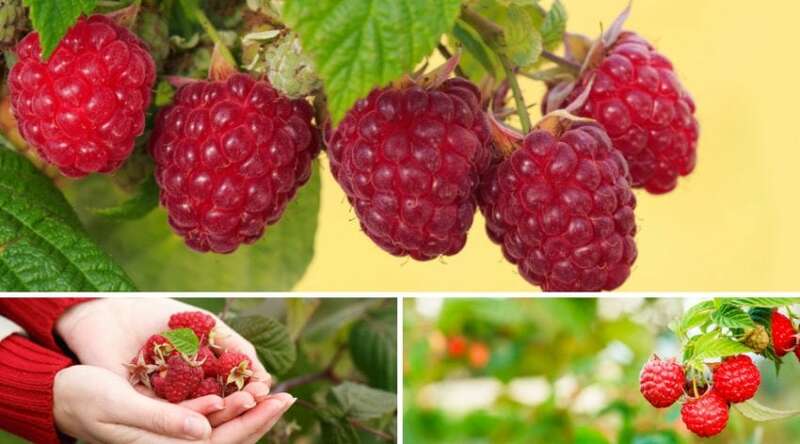 Because of this, and because of some of the more unsavory materials which can be used as dyes, they’re often not recommended for growing situations, as red mulch can potentially leak harmful chemicals into the ground, causing damage to nearby plants. If you’ve ever heard the term enviro mulch and weren’t sure what it meant, you’re not alone. This isn’t a term thrown around too often, but it’s something which does exist and is rather specific. Enviro mulch is basically the same as any other sort of wood mulch, such as bark or hardwood, for instance, but it is exclusively made up of recycled materials, be that old wood, cardboard boxes, paper, or whatever else out there started out as a tree. Just as with bark or hardwood, it is often found dyed into various shades, and, just as with its counterparts, it carries the same positive and negative benefits, but this time you’re certainly doing your part by giving new life to material which may have otherwise been wasted, left rotting away in a landfill or something. Certain mulches have the capability of being dyed. It isn’t unusual to see red, brown, black and even green mulch from time to time. Is dying the mulch safe for the plants on which it will be used? Are there certain dying methods which may be better than others? 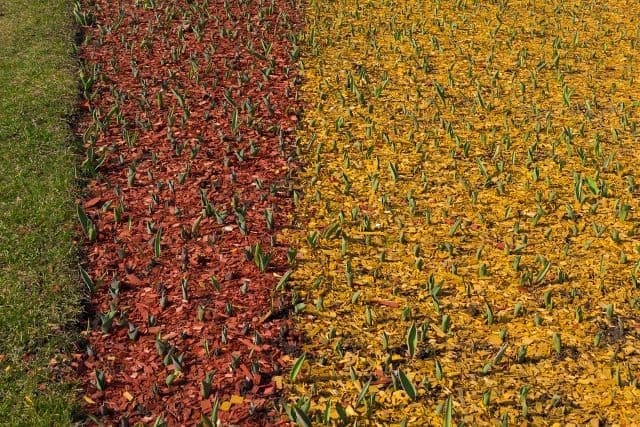 Is there a benefit to using a dyed mulch over one which is more natural? Let’s take a look. True to their name, vegetable-based dyes are created using different types of plants, just as dyes were in olden times. 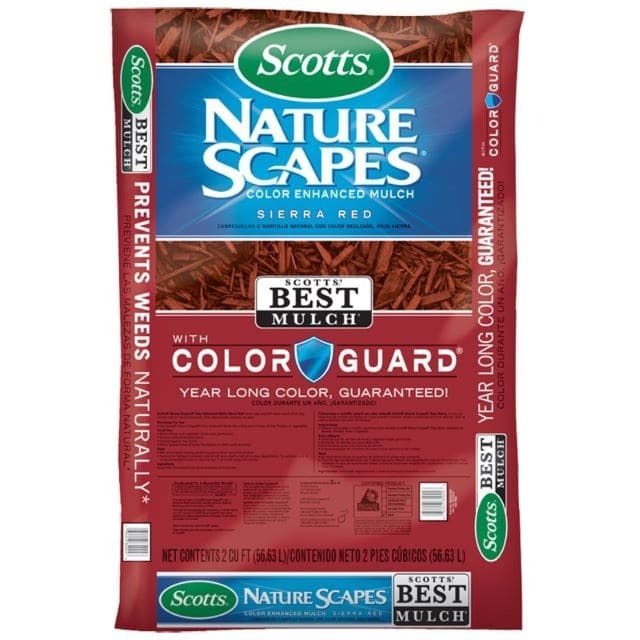 These are great for any type of garden, because if there is any sort of leaching going on with the materials used to dye the mulch, it’s not going to be a bad thing for your plants. 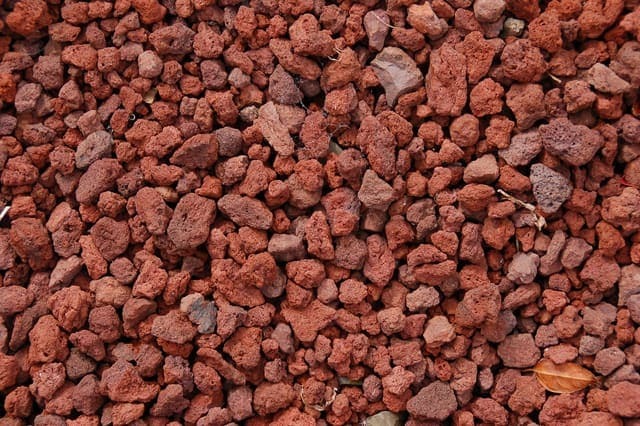 Since red is a pretty popular color out there, mulches dyed using iron-oxide-based dyes are pretty common. It may, in fact, by the most common type of dye. It is created by combining iron and oxygen, and using the resulting compound to color the mulch. If you weren’t aware, iron-oxide is basically rust, hence the rust-like color of the mulch. While the runoff from this does go into the soil, it isn’t necessarily a bad thing. It just means there’s more iron for your plants, which can actually be a benefit to certain varieties of plant which may need a little more metal in their systems. Any mulch which has been dyed black was likely dyed using a carbon-based dye. This color is acquired by using carbon black, which is the byproduct of incomplete combustion of a number of items. Many of the sources aren’t exactly edible or good for plants, but one source is: vegetable oil. Using carbon black produced from vegetable oil, mulches can be dyed and not have any sort of negative impact on the soil beneath them. This is especially important if it’s being used as mulch around plants which provide food, such as those in a garden. Many countries use carbon black for even more things, such as the coloring of food packaging and trays. When mulch dyed with carbon black breaks down, it releases carbon into the soil, pretty much in the same fashion as burying charcoal. Is your mulch looking a little under the weather? Spruce it up by giving it a little of that color it deserves. This process is moderately new. In general, most people will throw away their dull mulch and replace it with new good stuff, or just cover up the old with the new. Doing the deed yourself isn’t especially difficult, but it does take some planning. First off, you need to choose your dye from one of the many available colors. In order to have the best effect, you should try to get a dye which is near the original color of your mulch in case you miss a spot or two. If there is rain in the forecast, continue waiting a day or two for sometime when you’re sure to have clear skies and bright sun for at least six hours. Once you spray the dye onto your mulch, it’s going to need time to dry, and rain will just come in and mess up all of your hard work. Obviously, dye is designed to last, so making sure it only goes where you want it to go is a big deal. If you’re dying mulch along a sidewalk or driveway, do whatever you can to keep it from getting onto those surfaces. This can be as simple as laying down a tarp or using sheets to cover plants and such. Once you’re prepped and the area is protected, it’s time to mix the dye. It doesn’t take a lot. You’ll need a sprayer and the dye you’d like, then you just follow instructions. Spraying isn’t much work, either. All you have to do is keep your nozzle about six inches above the mulch, then spray as you work your back and forth. Keep your distance even in order to keep your color even. Now that we’ve learned about most of the different types of mulch, the million-dollar question yet remains: Which mulch is the best mulch? You may as wonder where to use mulch. As with our previous discussions, this is complicated, but only because there are so many options which can work, and each comes with its own benefits and downfalls. For the best results, you have to think of keeping weeds out of your garden and landscaping as a team effort. First applying a layer of either cardboard, newspaper or fabric works to keep light from getting to the soil itself, thus giving weeds the opportunity to thrive. No light means no weeds, in theory. On top of that, an organic mulch is a great way to go. Using something like a hardwood or bark mulch helps with the moisture and such, as a good mulch should, but being organic, it’s more likely to invite critters to live inside it. These critters have the potential to skitter about and eat any weed seeds which may find their way into the mulch or soil. It takes a village to keep weeds out. First and foremost, if you’re going to have mulch around the walls of your house, make sure it isn’t wood. Wood mulch just loves bringing in bugs of all varieties, which can end up in your home, if they’re too close. 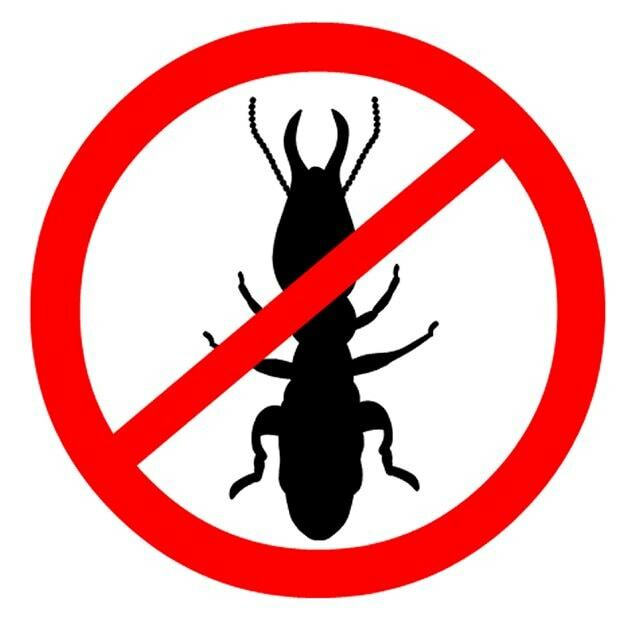 Most of the bugs which show up are just minor nuisances, but one in particular can have devastating effects on your home: termites. Termites love wood, of course, so it would make sense they would be attracted to wood mulches. To combat this, stick to the non-wood organics, such as a leaf mulch, or go the full inorganic route. Lava rocks make a great addition to landscaping around the home, especially if they are a contrasting color to the home itself. Using the right sort of mulch can make a home stand out, increasing its curb appeal dramatically. Deep mulch gardening, sometimes called sheet mulching, is almost like the Ronco of mulching, you can set it and forget it. Pick a spot in your yard in which you want to plant something and start piling on the materials. We’re talking pretty much anything organic you can think of. Straw, leaves, manure, cardboard, newspaper, whatever you have lying around which you don’t need and which started out as a plant. The goal is to get it something like a foot tall, so it can work its mulch magic on the ground below. Deep-mulch gardening has the special ability to rejuvenate ground which has been compacted and may not be suitable for growing. 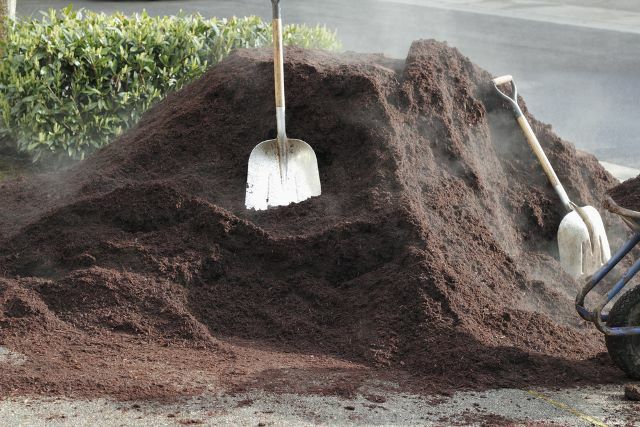 By using this method, the ground begins to soften, and it leaches many nutrients from the mulch used on top. Because of this goal, your best bet is to go with any sort of mulch, but the easier it is to break down, the better. You’re just going to need a whole lot of it, seeing as you want your pile to be about a foot tall. This is likely going to be the most difficult part. You can get out there and break up the ground a few times with the right tools, but finding enough material to get a foot of material over whichever size plot you intend to use can be something of a pain. Still, it’s worth it if you can work it out. This is a topic which has bugged me for years. 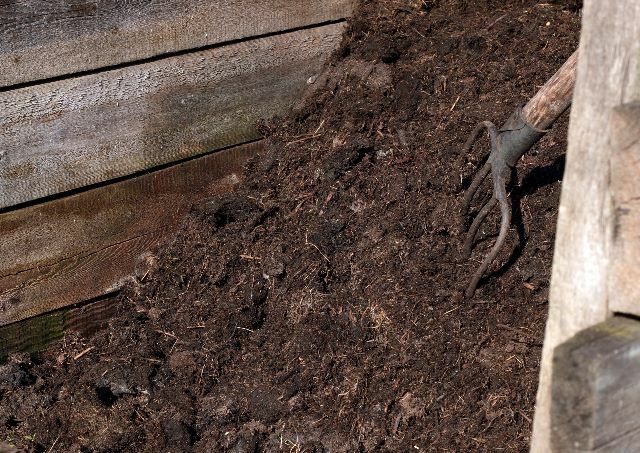 What’s the difference between compost and mulch? Without ever having looked into it myself, I never quite understood, but they’re two completely different beasts which can work together to create the perfect garden. Compost is material teeming with bacteria and such after having been allowed to decompose in a controlled environment. 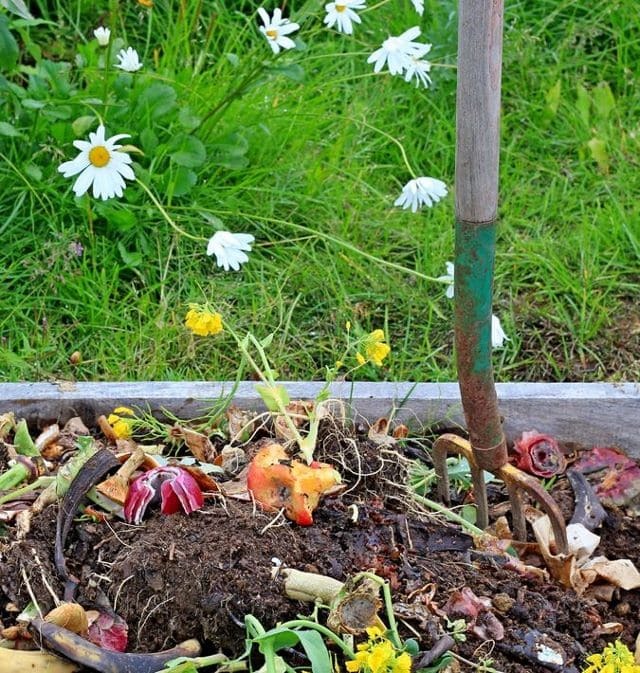 Many people will use grass trimmings, manure and garbage to make it, often having allowed it to decompose in a bin or large pile in the yard. 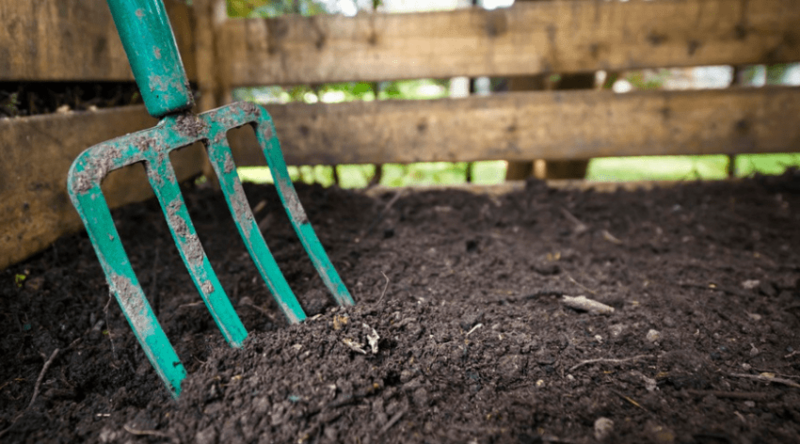 Compost is typically mixed into the soil, giving it additional nutrients and such to help plants grow better than they may have with just using the soil. It can also be spread across the top of the soil as a mulch. Mulch, on the other hand, is only for the top of the soil and doesn’t necessarily serve to enhance the soil, so much as protect it. Mulch keeps the soil at a good temperature, keeps weeds from growing, conserves water and generally looks nice. Compost doesn’t do any of that, it just makes the soil work better than it may have before. It isn’t a fertilizer, necessarily, though it does offer great nutrient-saving effects. Mulch can also serve as this, to a degree, once it begins to decompose. This, of course, only applies to organic mulches such as bark, hardwood and leaf mulches, as opposed to any of the rubber or stone variety. When they decompose, they put their own nutrients into the ground, though still not to the extent of compost. 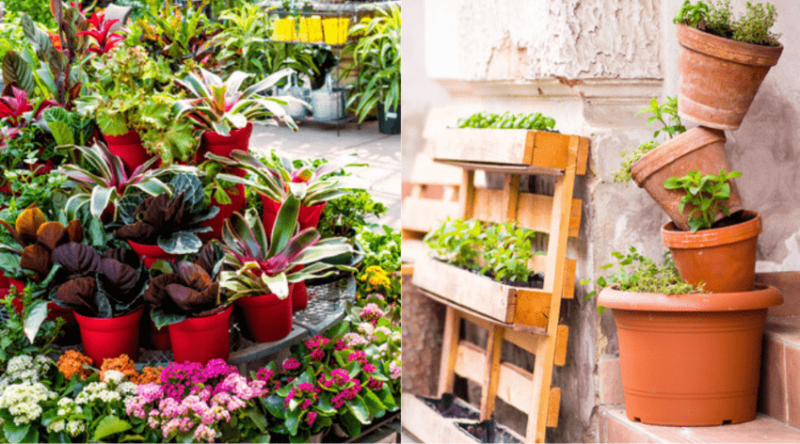 To have a truly remarkable gardening experience, make use of both compost and mulch, as these two go hand in hand to keep plants look fantastic and growing to new heights. I think it would be more prudent to find out why somebody wouldn’t mulch, rather than why someone should. The benefits of mulching are myriad, ranging from a healthier soil with greater plant growth to simply looking fantastic. Whether your goal is to have a better harvest or to have the best yard on the block, mulch is the way to go in pretty much any situation. With all the varieties out there, finding one which suits your situation perfectly can be a breeze. Many have similar properties, but each also has something the others do not. 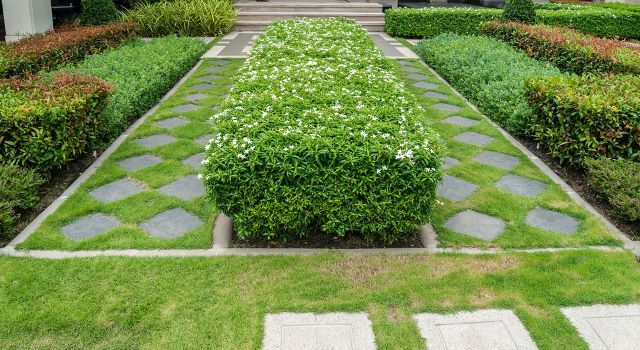 You can be environmentally friendly, you can do it all on your own, and you can do it for cheap, all while working to make your yard the envy of anyone who may see it. Though the benefits are obvious, perhaps the downsides are not. Frankly, the benefits greatly outweigh any negatives, but they’re worth noting. Mulch provides a great home for bugs. This, as mentioned, can be good in some respects. They can eat at weed seeds to keep weeds from dealing with your plants. However, other bugs may find their way to your plant and start munching it up. While some mulches help retain heat, others keep it from getting too deep into the ground. This is a positive and a negative. 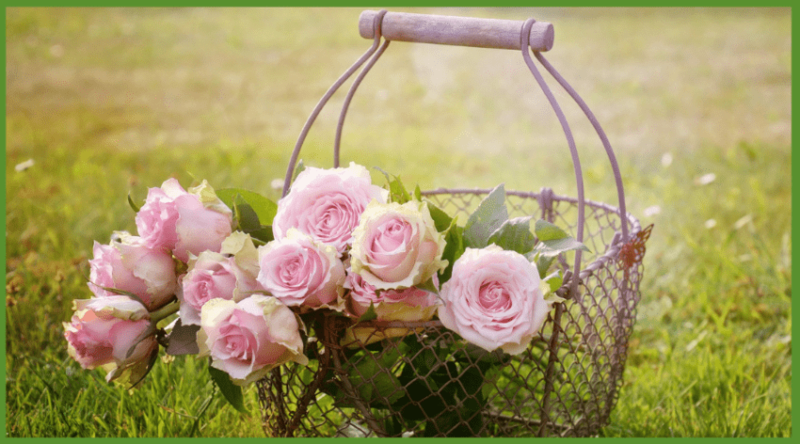 While it can keep flowers from blooming early, it can also force them to bloom late, which isn’t usually a good thing. The moisture-retaining properties of mulch can also be a negative. Yes, keeping the ground moist is a great thing. Plants love it. Plants don’t love too much water, though, as it can begin to cause issues. If extraneous water is not allowed to evaporate, it can sit and begin to start causing the plants roots to rot, or allow for fungus to begin to form. These are bad things, if you couldn’t tell. Finally, there is the issue of blocking light. This is great for stopping weeds from growing, but if you’re attempting to plant something new, you’re going to need some of that light to get down into the soil in order to help the seeds germinate. No germination, no plant, no garden. Mulch is a great thing. 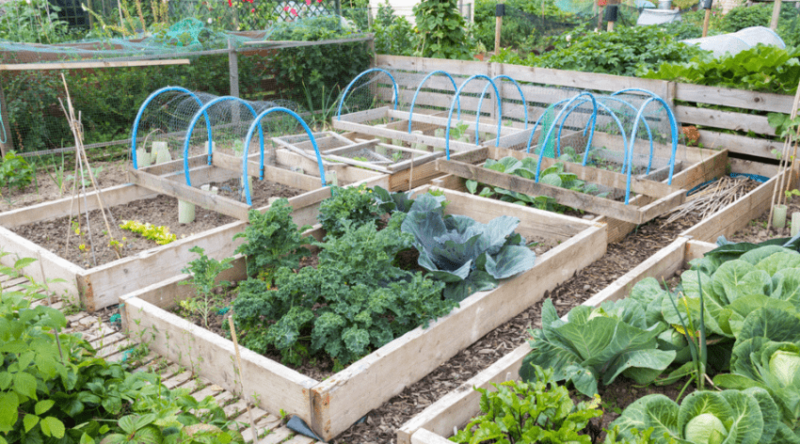 Even with its downsides, it’s far more beneficial than other things you can do in your garden. Having mulch should, in theory, keep your plants growing stronger, your soil staying more moist and weeds from growing and causing you problems. In fact, mulch could potentially keep you from working more by maintaining proper soil health. All you’ll have to do with mulch is go out and rake it around every once in a while, and maybe replace it every few years, depending on the type you use. All in all, don’t be afraid of mulch, and don’t be afraid of what it can do to your garden. So long as you take care of it, mulch is going to be the greatest thing you can do to your landscape. What did you think of this list? Did it help answer any questions you had about mulch? If so, or if you had any further questions, please comment and share below! *You might also like: Liquid Lawn Fertilizer vs. Granular: Which is the Best for Your Lawn?